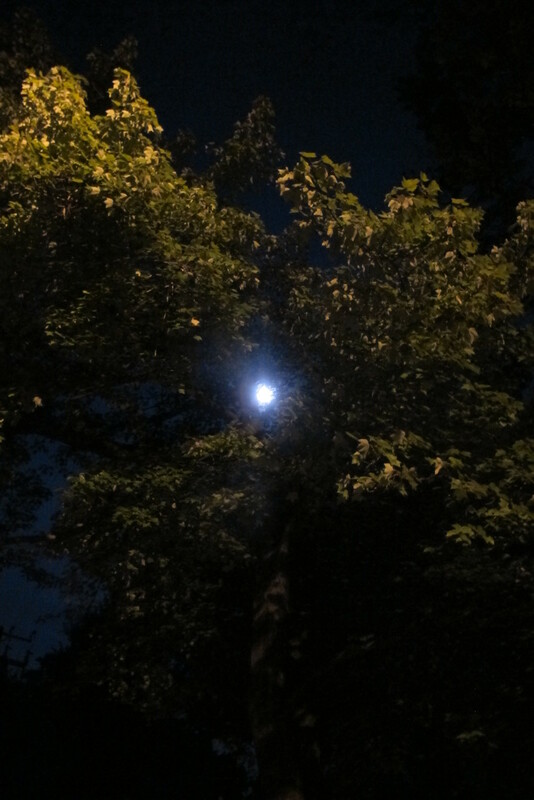 This photo was taken on August 11, 2014 at 2:56 AM. The "Take It!" was a no brainer. To be able to witness this phenomenon of nature was a treat. We are to have this closeness of the moon three times this year. The first took place in June and we had a cloud cover that made it impossible to see. This is the second one and it too had a cloud cover here in the early evening, but the sky was clear when I went out to the car to start the day. At that time the moon was at a distant point but still very bright. My camera is not set up with a large amount of zoom for distance - so took the opportunity to frame it up in an open section of one of the trees that is in front of the house next to the street. There is a bit of illumination onto the leaves of the tree cast by a street light. All of this was done to give this a little bit of flair rather than have a white dot as is shown below which was taken in open sky. The After Take: has been fun as have shown this to a few that were not able to get out that night to witness this spectacle. Everyone seemed to like the idea of giving it some tree foliage as a border. The next time this will happen is fairly soon - so please keep an eye on your local news and if at all possible and the weather permits - try to get a look at it. It seemed like there was just a little bit of magic in being able to have a short bask in the light of a "Super Moon." Hope your summer had been moving along in an enjoyable fashion for you. I really like that first photo with the tree. I caught that when it was happening a couple weeks ago. Really cool to see. Thats a really cool picture. The lighting on the leaves really stands out too. The first one is cool. 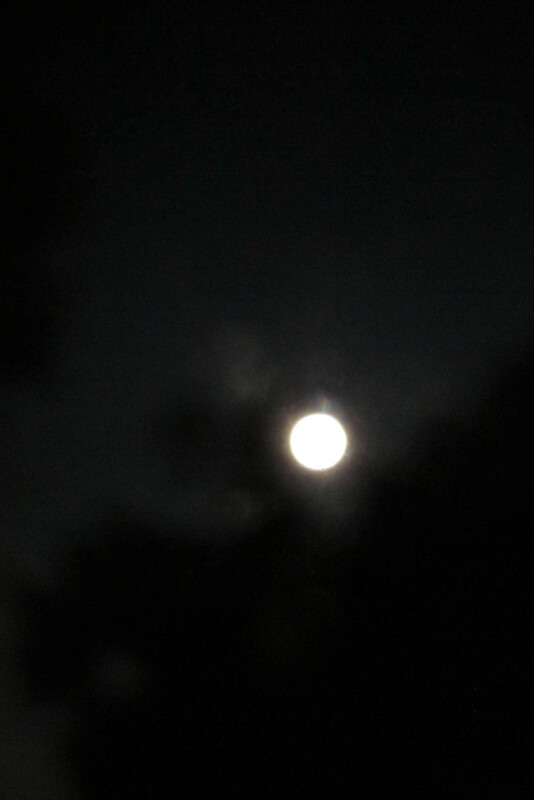 How beautiful, I can never take a decent picture of the moon. Great idea doing the framing.